Clay Paky among the legends of "The 27 Club"
Besides extraordinary talent and the fact they have all made the history of music, another thing legends such as Jimi Hendrix, Janis Joplin, Brian Jones, Jim Morrison, Kurt Cobain and Amy Winehouse all have in common is that they belong to the "27 Club". The members of this fictitious club all died prematurely at the age of 27 in tragic (and obscure) circumstances. The play of the same name, "The 27 Club", directed by acclaimed British director Toby Gough and performed at the St. Pauli Theatre in Hamburg, pays tribute to these and other music legends. 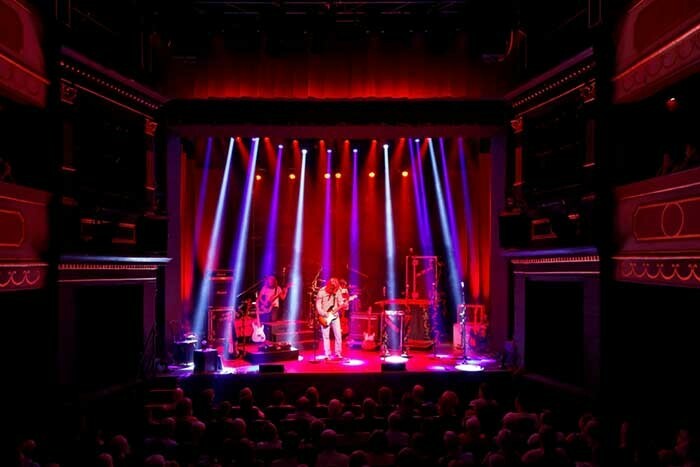 It is a musical journey through time in which first-class musicians from Britain and the United States bow down to their idols and play songs such as "Hey Joe", "Light my Fire" and "Smells like Teen Spirit". Patrick Woodroffe and associated designer Roland Greil dealt with the lighting design. 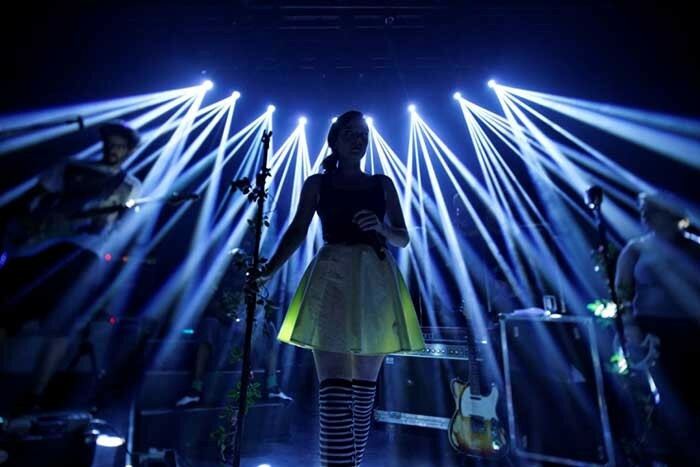 Fifteen Clay Paky Sharpys, eight Sharpy Wash 330s, 20 A.Leda K5s, 20 GlowUp Strip 100s and other lights were installed in the St. Pauli theatre specifically for the show. Such a well-equipped rig has never been used in a theatre before, and this made the lighting design an interesting challenge. Roland Greil had this to say: "Patrick and I had to create a rig that was as flexible as possible, but at the same time 'pounding', and therefore suitable for rock 'n' roll. We needed flexibility because the musicians performed pieces from different eras, and each modern light music era deserves the right frame: static light images for Robert Johnson, powerful rock 'n' roll arrangements for artists like Brian Jones, sharp movements for Nirvana and an elegant theatrical look for Amy Winehouse. "We also had to design suitable atmospheric lighting for the narrated parts between the songs, so we needed a multifunctional lighting rig," Greil continued. "Taking all this equipment into a small theatre like the St. Pauli, which is normally fitted out almost exclusively for classical events, was an enormous technical challenge. However everything worked at its best thanks to the use of mainly compact equipment and the efforts of the theatre's technical managers. Once again we have to thank Lightpower and PRG for the assistance they provided." 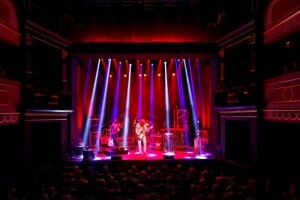 Greil gave his opinion of the equipment used: "Clay Paky lights are always a good choice. This was the first time I have worked with GlowUp Strip 100s. I liked this battery-powered LED bar especially since you can adjust the zoom from 14° to 70° by DMX. The fact the colour LEDs on the bar are split into two separately controlled sections is an attractive feature. The Sharpy Wash is a great moving light, as is the Sharpy Beam: great brightness, high speed and small size... all masterly combined into a single unit." Peter Overbeck is the technical manager of the St. Pauli theatre. Tanja Ahrends helped the team on site as a system engineer. The show is directed for the theatrical season by Dorle Reiss and Birte Horst, who acted as an operator. It is co-produced by Collien Konzert Theater GmbH and BB-Promotion GmbH.